Following the successful presentation of our Mentoring Program and its official launch on February 10th, 2017 we are very happy to present you our first article regarding mentoring and possibly answering that way some of your questions on the use and benefits of such a Program. It was about some months ago that I wrote to a friend and colleague of mine residing in the Netherlands, about the Mentoring Program I have been preparing for PEEMPIP (Greek Association for Certified Translators) as a Mentoring Program Coordinator and how excited I was for undertaking this Project; I immediately got suggested to write to the President of the Portuguese Association of Translators (APTRAD) as they run a similar program recently. And that is how it all began, I contacted Paula, who was really kind to inform the members and ask them to write a few words about their experience as mentors and/or mentees exclusively for our blog! So, we are very pleased to host on our blog some of the participants to the APTRAD’s Mentoring Program. You will have the opportunity to read about their experience, the benefits they gained, either how they were evolved as professionals, or changed their careers and learnt new things. We hope that by reading their testimonials in this article you will have a better idea about mentoring in general and within a translators’ association particularly, get motivated and inspired about the way you could contribute in our program as mentors and/or mentees and, of course, benefit by your participation. In case you still have any inquiries about PEEMPIP’s Mentoring Program and its admission process, please do not hesitate to contact us at mentoring@peempip.gr. Please note that for now this program is dedicated to the members of PEEMPIP only. We are scheduling more workshops, events, printed and electronically distributed material related to the Mentoring Program; so stay tuned! You may find more information about APTRAD and their Mentoring Program on their website. And of course, APTRAD’s Mentoring Program Participants! Since I ‘discovered’ my path for building a portfolio of clients in my career as a freelance translator, I started to help people to do the same. People used to ask me to do that, and I could not say no, but I used to do it in a very informal way and people didn’t always value what they were getting for free. When I received the invitation to become a mentor for APTRAD’s Mentoring Program, I visualized a way of doing what I had always done in a more structured and measurable way. And help people. What I didn’t see was how I would also receive a lot for being a mentor. First, I soon realized I had to prepare a guide for the 12 sessions, planning specific topics for each session and never forgetting to give some homework in the end of them. I have been learning a lot with my mentees, each one of them gives me a new perspective about things and makes me think about aspects I have not considered before, not only professionally, but from the personal point of view as well. I also discovered that sometimes you act as a psychologist or an investigator, because the mentee has the necessary skills, but has not realized it and you need to discover these skills and show them to him/her. Each new mentee is a new adventure and, even if sometimes I am too busy and don’t have much time to spare for the mentorship session, when it’s finished I feel good and I have learned something new. I guess I must thank my mentees for that. One year ago, I was contemplating a career change to translation, after having worked for over 25 years in the areas of marketing and tourism, though I didn’t know where to start. It was then that I was introduced to APTRAD, and after passing the admissions procedure to become a member, I jumped at the chance to take part in the mentorship programme. I chose a mentor with a similar background to myself, and who was Brazilian (a country I had lived in for a long time and with culture I feel extremely comfortable with). My mentor helped me to identify my strengths and skills, and to dispel some of the myths and insecurities that I had about my potential as a freelance translator. A mentorship is an excellent relationship of learning and respect, one where you become fully aware of your successes, and also of your shortcomings. Praise is given where is due, though criticism is also part of the exchange, and we can learn so much about ourselves from a wonderful opportunity like this. One of the most valuable things I took from this programme was a real and tangible start to my career. My mentor showed me how to build a solid profile, build credibility and start to attract my first clients. Within six months I felt I had a solid enough foundation to leave my full-time job and concentrate on translating. One year later, I have already overtaken the salary I previously earned, thanks to APTRAD and my wonderful mentor, who I now consider to be a friend. I was given advice on how to find and approach direct clients and translation agencies both by e-mail and phone. My mentor helped me overcome my natural reticence and gave me guidance on how to negotiate on quotes and deadlines. Following her advice, I have been contacted by several national and international translation agencies and I have been successful in obtaining higher prices for both my translation and proofreading jobs. My mentor also showed me the importance of good planning, and taught me how to set my own SMART goals. This proved to be a very useful exercise in that it helped me to develop better strategies to achieve my goals, and regularly keep track of my progress. Given my very positive experience, I would urge translation professionals set aside any doubts or shyness they may have and dare to participate in a mentoring programme! Aptrad’s three-month mentoring programme was intense. It forced me to distil my experience into a coherent toolkit of practical value for my two mentees, while taking their individual needs and expectations into account in separate weekly Skype sessions. Samuel’s discipline and enquiring mind kept me on my toes; Sílvia taught me about Google Docs, and finding creative ways for Sílvia to figure out for herself how to juggle family, study and freelance translation work proved to be a tough challenge. Both mentees devoted time to hands-on translation practice too, and we examined the different demands Portuguese and English place on producing texts of good quality. As confidence in their own abilities grows, I hope that the effort both Samuel and Sílvia made in tackling the complex realities of the Portuguese freelance translation market and in developing meaningful relationships with existing and potential clients will spur them on to find their true niche with time. One unanticipated benefit for me was that my Portuguese improved; the personal milestone of writing a 1,000-word report at the end of the programme reminded me just how interactive and mutually rewarding the mentoring process can be. The Aptrad mentoring programme armed me with the knowledge I need to develop my business as a freelance translator. Preparing a suitable CV, examining the practical aspects involved in professional translation, and receiving guidance on how to approach translation agencies all these activities gave me a starting point from which I can map out a sensible way forward. I have a lot more self-confidence now! I have received more enquiries from agencies since the programme ended, and although I have not received any work from them yet, I am on the list of two agencies in particular and in fairly regular contact with them. I continue to send my CV to translation agencies and look for suitable work on the internet while I complete my Master degree course. One year later, I believe that Aptrad’s programme was a very positive experience, not only because of the knowledge I gained and the greater sense of determination I now have, but also because of the relationship of trust established with my mentor, Allison, who continues to take a sincere interest in my progress. The article was reviewed by PEEMPIP Mentoring Program Committee Members. 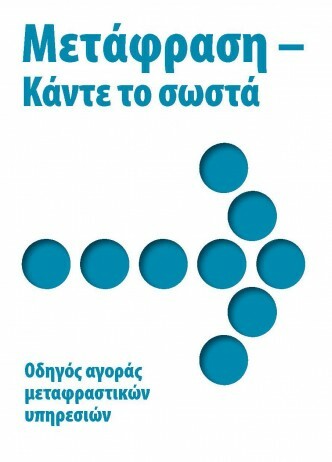 από τους συμμετέχοντες στο Πρόγραμμα Mentoring της Πορτογαλικής Ένωσης Μεταφραστών APTRAD. Μετά την επιτυχή ολοκλήρωση της επίσημης παρουσίασης κι έναρξης του Προγράμματος Συμβουλευτικής Καθοδήγησης της ΠΕΕΜΠΙΠ την Παρασκευή 10 Φεβρουαρίου και στο πλαίσιο της ενημέρωσης και εκπαίδευσης των μελών μας σχετικά με το Mentoring, επανερχόμαστε –όπως σας τάξαμε, άλλωστε- αυτή τη φορά με την εμπειρία και τα οφέλη που αποκόμισαν μέλη αντίστοιχης μεταφραστικής Ένωσης του εξωτερικού, και συγκεκριμένα της Πορτογαλίας, από τη συμμετοχή τους στο Πρόγραμμα Mentoring της συγκεκριμένης Ένωσης. Ζητήσαμε από την Πρόεδρο και Υπεύθυνη Συντονισμού του συγκεκριμένου Προγράμματος, να μας γράψει δυο λόγια σχετικά τόσο με τη δική της εμπειρία όσο κι αυτής των μελών της, κι απάντησή της ήταν άμεση! «Δεν χρειάζεται να γράψω κάτι εγώ», μας είπε, «τα λόγια των συμμετεχόντων είναι πιο σημαντικά!» και, όπως θα διαπιστώσετε κι εσείς οι ίδιοι, είχε απόλυτο δίκιο. Πιο κάτω θα δείτε τι γράφουν, αποκλειστικά για το μπλογκ της ΠΕΕΜΠΙΠ, δύο μέλη που συμμετείχαν στο Πρόγραμμα ως Μέντορες και μας παρουσιάζουν τα οφέλη και τις γνώσεις που αποκόμισαν από την εμπειρία τους αυτή. Επίσης, θα δείτε και πώς αξιολογούν τις εμπειρίες τους τρία μέλη που συμμετείχαν ως Καθοδηγούμενοι προκειμένου, ανάμεσα σε άλλα, να μεταβούν από έναν τομέα εργασίας σε έναν άλλον, να κάνουν τα πρώτα τους βήματα στον χώρο της μετάφρασης, να εξελιχθούν ως επαγγελματίες και να προσεγγίσουν απευθείας πελάτες. Θεωρούμε ότι οι πληροφορίες αυτές θα σας φανούν χρήσιμες ώστε κι εσείς με τη σειρά σας να συμμετέχετε στο Πρόγραμμα Mentoring της ΠΕΕΜΠΙΠ για να προσφέρετε αλλά και να επωφεληθείτε απ’ αυτό. Αξίζει να τονίσουμε ότι το Πρόγραμμα Mentoring της ΠΕΕΜΠΙΠ προσφέρεται δωρεάν και διεξάγεται για πρώτη φορά στην Ελλάδα από Επαγγελματική Ένωση Μεταφραστών. Επίσης, μπορείτε να βρείτε περισσότερες πληροφορίες σχετικά με την Πορτογαλική Ένωση APTRAD εδώ και το Πρόγραμμα Mentoring που προσφέρει εδώ. Θα ήθελα επίσης να ευχαριστήσω την Πρόεδρο της Ένωσης APTRAD, Paula Ribeiro και τον Αντιπρόεδρο και Ιδρυτικό Μέλος της APTRAD, Rui Sousa για την άμεση και θερμή ανταπόκρισή τους. Παραμένουμε στη διάθεσή σας για οποιαδήποτε σχετική απορία. Από τη στιγμή που ανακάλυψα το ταλέντο μου στην εξεύρεση πελατών ως freelance μεταφράστρια, άρχισα να βοηθάω και άλλους συναδέλφους να κάνουν το ίδιο. Συχνά μου ζητούσαν βοήθεια και, ενώ δεν μπορούσα να αρνηθώ, τους βοηθούσα πολύ χαλαρά και άτυπα, με αποτέλεσμα, πολλές φορές, να μην εκτιμούν την αξία της βοήθειας που παρείχα δωρεάν. Όταν έλαβα την πρόσκληση να συμμετέχω ως μέντορας στο πρόγραμμα Mentoring της APTRAD, κατάφερα να κάνω αυτό που έκανα ήδη με ένα πιο δομημένο και μετρήσιμο τρόπο. Και, φυσικά, να βοηθήσω και τους άλλους. Αυτό που δεν είχα όμως προβλέψει είναι πόσα θα αποκόμιζα εγώ ως μέντορας. Κατ΄ αρχάς, πολύ γρήγορα κατάλαβα ότι έπρεπε να ετοιμάσω έναν οδηγό για τις 12 συναντήσεις, να προετοιμάσω συγκεκριμένα θέματα για κάθε συνάντηση και να μην ξεχνάω να βάζω κάθε φορά και λίγη δουλειά για το σπίτι. Μαθαίνω πολλά από τη σχέση μου με τους καθοδηγούμενούς μου. Ο καθένας από αυτούς μου ανοίγει μία νέα προοπτική για διάφορα πράγματα και με κάνει να σκεφτώ παράγοντες που μπορεί να μην είχα σκεφτεί ως τότε, όχι μόνο σε επαγγελματικό επίπεδο αλλά και σε προσωπικό. Κατάλαβα, επίσης, ότι κάποιες φορές ως μέντορας κάνεις τον ψυχολόγο ή και τον ντετέκτιβ, γιατί ο καθοδηγούμενος διαθέτει τις απαραίτητες δεξιότητες αλλά δεν το έχει συνειδητοποιήσει ακόμη και εσύ πρέπει να τις ανακαλύψεις και να τις φέρεις στην επιφάνεια. Κάθε νέος καθοδηγούμενος είναι και μια νέα περιπέτεια και αν και κάποιες φορές έχω πολύ δουλειά και λόγω της πίεσης δεν έχω πολύ χρόνο για τη συνάντηση μαζί τους, όταν η συνάντηση τελειώνει αισθάνομαι τόσο καλά και πάντα έχω μάθει κάτι νέο. Νομίζω ότι πρέπει κι εγώ να τους ευχαριστήσω γι’ αυτό. Πριν από ένα χρόνο, σκεφτόμουνα ότι ήρθε πλέον η στιγμή να κάνω στροφή στην καριέρα μου, από το χώρο του marketing και του τουρισμού που δούλευα για 25 χρόνια, στο χώρο της μετάφρασης, παρ’ όλο που δεν ήξερα από πού να αρχίσω. Τότε έμαθα για την APTRAD, και αφού έγινα δεκτή ως μέλος, άρπαξα την ευκαιρία και συμμετείχα στο πρόγραμμα mentoring. Διάλεξα έναν μέντορα με παρόμοιο background με το δικό μου, που είχε μάλιστα καταγωγή από τη Βραζιλία, μια χώρα στην οποία έχω ζήσει για μεγάλο χρονικό διάστημα και αισθάνομαι εξοικειωμένη με την κουλτούρα της. Ο μέντοράς μου με βοήθησε να καταλάβω ποιες είναι οι αδυναμίες μου και ποια τα δυνατά μου σημεία καθώς και να απομυθοποιήσω το χώρο της μετάφρασης και να αποβάλλω κάποιες ανασφάλειες που είχα σχετικά με το αν είμαι κατάλληλη για να εργαστώ ως freelance μεταφράστρια. Η σχέση που αναπτύσσεται μεταξύ μέντορα και καθοδηγούμενου είναι μια εξαιρετική σχέση μάθησης και σεβασμού, η οποία σε βοηθάει να συνειδητοποιήσεις πλήρως την επιτυχία σου αλλά και τα αδύνατά σου σημεία. Όταν χρειάζεται σε επαινούν, αλλά και η κριτική αποτελεί εξίσου μέρος της διαδικασίας. Μπορούμε να μάθουμε τόσα πολλά πράγματα για τον εαυτό μας από μια φανταστική ευκαιρία όπως αυτή. Ένα από τα πολυτιμότερα πράγματα που αποκόμισα από το πρόγραμμα αυτό, ήταν η πραγματική και απτή ώθηση για να ξεκινήσω την καριέρα μου. Ο μέντοράς μου μού έδειξε πώς να χτίσω ένα προφίλ με βάσεις, να αναπτύξω την αξιοπιστία μου και να ξεκινήσω να προσελκύω τους πρώτους μου πελάτες. Μέσα σε έξι μήνες αισθάνθηκα ότι είχα πλέον αρκετές βάσεις για να αφήσω την προηγούμενη δουλειά μου και να επικεντρωθώ στη μετάφραση. Ένα χρόνο αργότερα, έχω φτάσει ήδη να κερδίζω τα χρήματα του προηγούμενου μισθού μου, χάρη στην APTRAD και στον φανταστικό μέντορά μου, τον οποίο τώρα θεωρώ και φίλο μου. Μου έδωσε συμβουλές σχετικά με το πώς να βρω και να προσεγγίσω απευθείας πελάτες και μεταφραστικά γραφεία, τόσο μέσω e-mail όσο και μέσω τηλεφώνου. Η μέντοράς μου με βοήθησε να ξεπεράσω τη φυσική μου συστολή και μου παρείχε καθοδήγηση σχετικά με το πώς να διαπραγματευτώ τιμές και προθεσμίες. Αφού ακολούθησα τις συμβουλές της, με προσέγγισαν πολλά γραφεία τόσο τοπικά όσο και από το εξωτερικό και κατάφερα να πετύχω καλύτερες τιμές τόσο για τα έργα της μετάφρασης όσο και για της επιμέλειας. Η μέντοράς μου μού έδειξε επίσης τη σημασία του σωστού σχεδιασμού και με δίδαξε να θέτω SMART στόχους. Αυτό αποδείχτηκε μία πολύ χρήσιμη άσκηση, η οποία με βοήθησε να αναπτύξω καλύτερες στρατηγικές για να πετύχω τους στόχους μου και να παρακολουθώ την πρόοδό μου. Λόγω της πολύ θετικής μου εμπειρίας, θα παρότρυνα όλους τους επαγγελματίες της μετάφρασης να βάλουν στην άκρη τις αμφιβολίες που μπορεί να έχουν ή τη συστολή και να τολμήσουν να συμμετάσχουν σε ένα πρόγραμμα mentoring! 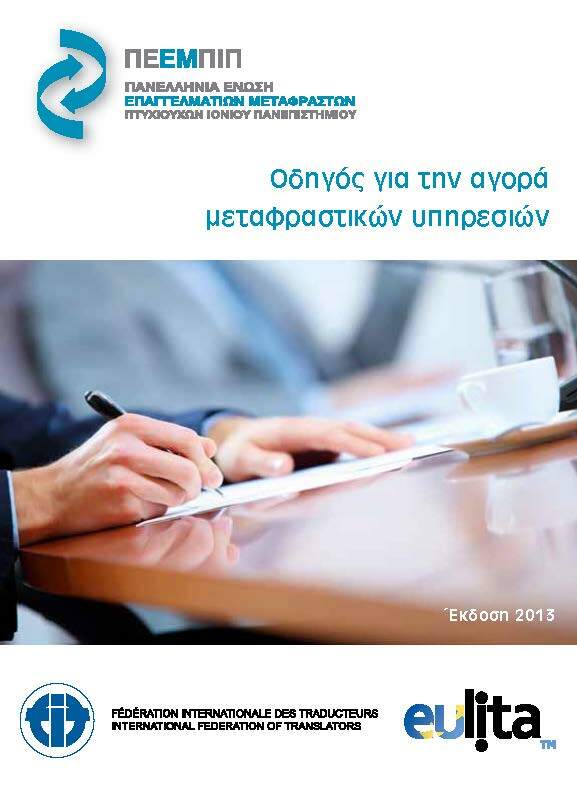 Το τρίμηνο πρόγραμμα mentoring της Aptrad ήταν εντατικό. Με ανάγκασε να μετουσιώσω την εμπειρία μου σε μία συνεκτική και πρακτική εργαλειοθήκη για τους καθοδηγούμενούς μου, λαμβάνοντας παράλληλα υπόψη μου τις προσωπικές τους ανάγκες και προσδοκίες, στις ξεχωριστές συναντήσεις που κάναμε μέσω Skype. Η πειθαρχία και η περιέργεια του Samuel με κράτησε σε εγρήγορση, η Sílvia μου έμαθε τα Google Docs και αποτέλεσε πραγματικά πρόκληση για μένα να βρω δημιουργικούς τρόπους για να τη βοηθήσω να καταφέρει να εξισορροπεί την οικογένειά της, τις σπουδές της και τη δουλειά της ως freelance μεταφράστρια. Και οι δύο καθοδηγούμενοι, αφιέρωσαν χρόνο στην πρακτική μεταφραστική δουλειά και εξετάσαμε τις διαφορετικές απαιτήσεις των Πορτογαλικών και των Αγγλικών στην παραγωγή κειμένων υψηλής ποιότητας. Όσο θα μεγαλώνει η αυτοπεποίθησή τους, ελπίζω πώς η προσπάθεια που έκαναν και ο Samuel και η Sílvia για να αντιμετωπίσουν την πολύπλοκη πραγματικότητα της αγοράς της μετάφρασης στην Πορτογαλία για να αναπτύξουν ουσιαστικές σχέσεις με τους υπάρχοντες και τους πιθανούς πελάτες, θα τους βοηθήσει να βρουν το χώρο τους εκεί έξω εν καιρώ. Αυτό που δεν περίμενα, ήταν ότι ωφελήθηκα κι εγώ, τα Πορτογαλικά μου βελτιώθηκαν. Ο προσωπικός μου στόχος, να γράψω δηλαδή στο τέλος του προγράμματος μία έκθεση χιλίων λέξεων μου θύμισε πόσο διαδραστική και αμοιβαία επωφελής μπορεί να είναι η διαδικασία του mentoring. Tο πρόγραμμα mentoring της Aptrad με όπλισε με τη γνώση που χρειάζομαι για να αναπτύξω τη δραστηριότητά μου ως freelance μεταφράστρια. Να φτιάξω σωστά το βιογραφικό μου, να εξετάσω τις πρακτικές πλευρές της επαγγελματικής μετάφρασης και να δεχθώ καθοδήγηση έτσι ώστε να μπορέσω να προσεγγίσω μεταφραστικά γραφεία, όλες αυτές οι δραστηριότητες με βοήθησαν να ξεκινήσω, να θέσω μια αφετηρία από την οποία μπορώ να σχεδιάσω σωστά το μέλλον μου. Έχω πολύ περισσότερη εμπιστοσύνη στον εαυτό μου τώρα! Μετά το τέλος του προγράμματος με προσεγγίζουν περισσότερα γραφεία και αν και δεν μου έχει αναθέσει κανείς ακόμη δουλειά, βλέπω ότι δυο γραφεία με έχουν στη λίστα τους και επικοινωνούν αρκετά συχνά μαζί μου. Συνεχίζω να στέλνω το CV μου σε μεταφραστικά γραφεία και παράλληλα ψάχνω για κατάλληλη δουλειά στο ίντερνετ ενώ τελειώνω το Master μου. Ένα χρόνο μετά, πιστεύω ότι το πρόγραμμα της Aptrad αποτέλεσε μια πολύ θετική εμπειρία, όχι μόνο γιατί έμαθα πολλά πράγματα και απέκτησα μεγαλύτερη αποφασιστικότητα αλλά και εξαιτίας της σχέσης εμπιστοσύνης με τη μέντορά μου, την Allison, η οποία ενδιαφέρεται ακόμη για την πρόοδό μου. Η μετάφραση και η επιμέλεια του άρθρου στα ελληνικά πραγματοποιήθηκε από τη Φαίη Μαγκούτη, την Αθηνά Μπαλοπούλου και τη Μαρία Ξανθοπούλου.